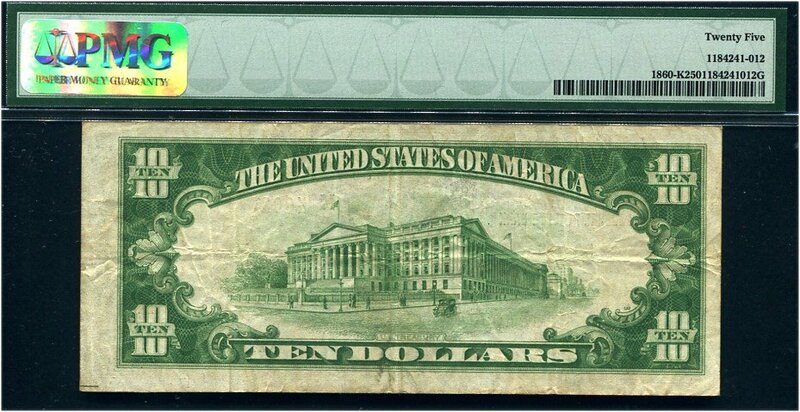 $10 1929 FRBN F1860K. Dallas. PMG Very Fine 25. 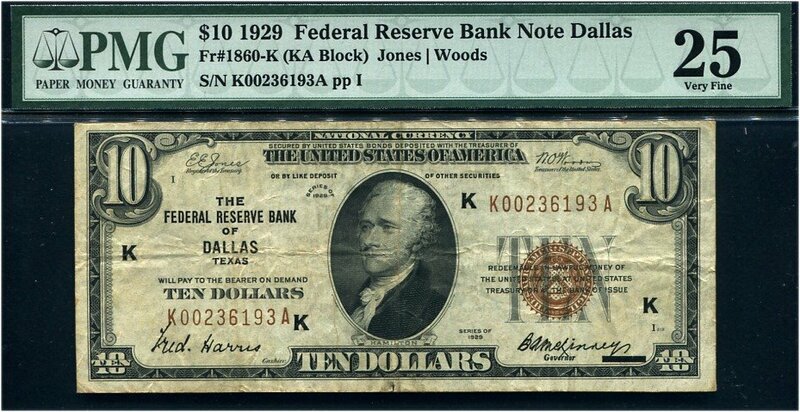 Excellent example of this key to the $10 FRBNs.